It is no secret that as we age, we tend to prefer living locally; in fact, recent studies show that greater than 80 percent of senior citizens hope to remain in place as they age. 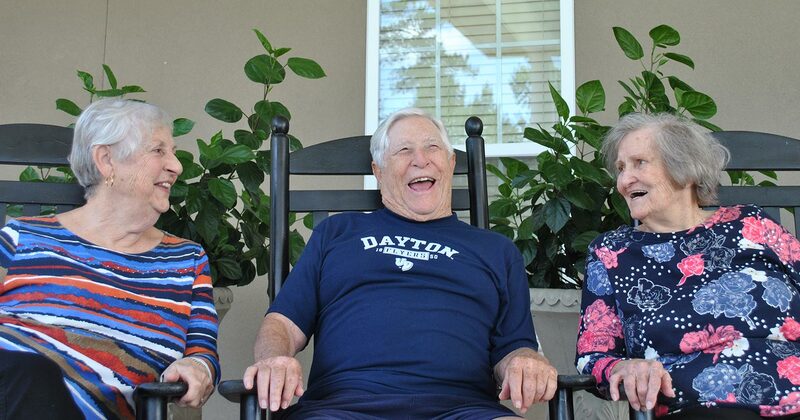 Put simply, seniors are happier when they feel at home. They take comfort in the familiar surroundings of their long-time communities, and they enjoy having a routine that closely involves their family, friends, and familiar destinations. Despite the desire to live locally, however, many aging Americans face challenges that make staying in their own home difficult. Families find themselves stressing as they stop by the home more frequently to check in, and older homes aren’t always up to par for the safety of an aging loved one. Additionally, more slips and falls combined with slower reflexes can make full-time care a necessity. Proximity. You can visit on Sunday afternoon or on your way home from work. If you just have a feeling that you want to see mom or dad, making plans isn’t necessary. Just stop by. It feels safer. You don’t have to feel helpless in the event there is a medical emergency. There is no long drive or dependence on phones and technology to help in your family’s time of need. Your loved one is home. Seniors like being near familiar surroundings, especially when they may be dependent on others for health and wellness. The comfort of having their families and friends nearby is comfortable and assuring. If they need you, they will call. Seniors are a lot more likely to pick up the phone and call for help when they know they are not inconveniencing their loved ones. If they feel transportation or distance is a burden, they may not want to bother their friends and family members. You are an active team member in your loved one’s care. If you are closer, the conversation happens more often and more in-depth. You can get to know the staff and healthcare professionals and remain actively involved in decision-making. In short, keeping family members close is simply more comfortable for everyone. Moving to an assisted living community is a big step for the family, but it doesn’t have to be one that causes stress or discomfort. Call your local Summerfield Senior Living Community to discuss what we can do for your entire family, or click here to learn more about our communities.